One drop of this cult product turns any powder into a colour-intense, water-resistant paste that dries quickly and lasts for hours. our Sealing Gel is perfect as a set gel or sealant. Blend with Powder Eye Shadow, Pure Pigment, Eye Brow Cake or Eye Liner Cake and use across the face and body for endless creative opportunities. Ensure your look stays put. Be bold, be original and stand out from the crowd. Aqua (Water), Acrylates/Octylacrylamide Copolymer, Propylene Glycol, Polyester-5,Triethanolamine, Phenoxyethanol, Methylparaben. Hydroxyethylcellulose,Ethylparaben, Propylparaben. I bought this a long time ago and I love it. I use it with loose shadows, but for a pan shadow that I want to use I will scrape a bit out instead of applying the gel onto the shadow, as it can leave a small crust on top. 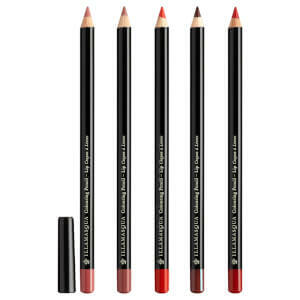 Using just a bit will turn any shadow into a long wear, no smudge, matte liner. It is so amazing and definitely worth the buy. I absolutely love this product, just one drop turns powder into a beautiful paste, which lasts really well. It can get a bit crumbly towards the end of the working day, but the colour intensity is awesome. This works really well with powder products mixing together to make a paste application which holds for longer and brings the pigments out making them brighter! I also apply it on top of gel liner to make it longer lasting. Only problem is im forever losing it as its so small! So much creativity can be achieved from this one bottle, a fantastic product- a must have !! I use this to set my client's makeup by mixing it into my fixing spray added with shimmer pigments. Shake before use. Spray all over the finish makeup for ultimate last longer & glowing makeup. Must try! This product is amazing. 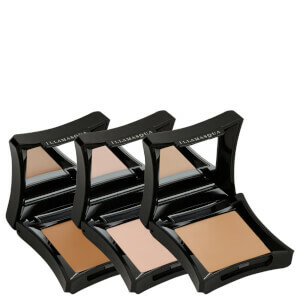 It makes applying eye shadow easy and helps keep it in place for a long time . 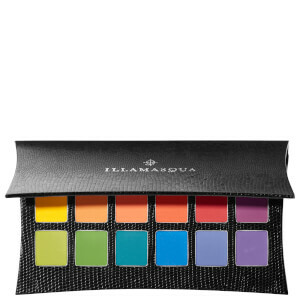 It is way better than any of the other eye shadow base products that I have used in the past . SUCH a useful product - turns any powder eyeshadow into a gel-like consistency. 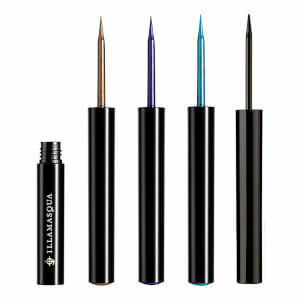 Perfect if you want your eyeliner colour to be simply a more defined, focused version of your eyeshadow. Does exactly what it says it does!